Foresters employed by Richton Tie and Timber work with area landowners to help achieve their financial and forestry management objectives. By providing a full range of forestry consulting services or simply arranging for an independent logging crew to remove trees that have been designated for cutting, our foresters will do whatever is necessary to help achieve each landowner’s goals. Our registered foresters include locations throughout Mississippi, including Hattiesburg, Collins, Starkville and Meridian. Because obtaining a fair price for your timber is the most important step of your forest management program, we work diligently with our customers and landowners to estimate the worth of timber. This price is based on the present time and market conditions and takes into consideration the composition, quality and quantity. These factors will help us prepare and market your lumber harvest at the best price possible. Timber inventory, also known as timber cruising, is important for selling timber, timberland acquisition, forest management planning, forestry investments and damage appraisal. Because it has a strong role in these areas of forestry, inventory is how we evaluate your timber supply. Through timber inventory services, Richton Tie & Timber can help a landowner know exactly how much timber is on a property and calculate its worth. Reforestation is the act of planting replanting cutover forestland or old fields and comes with many advantages, including: tree spacing control, use of improved tree seedlings, shorter rotations, improved tree growth, value of forestland, good forest health and improved forestland investment returns. Our reforestation services include site preparation, and are customized to site capabilities and landowner desires. Mature forests can only be improved by the removal of mature timber wood. At Richton Tie & Timber, we estimate the volume of timber, we mark it and we sell it. Very simple in nature, timber marking allows us to differentiate timber between mature and young. This practice allows us to ensure that your timber is harvested ethically and that your forest management program remains sustainable. 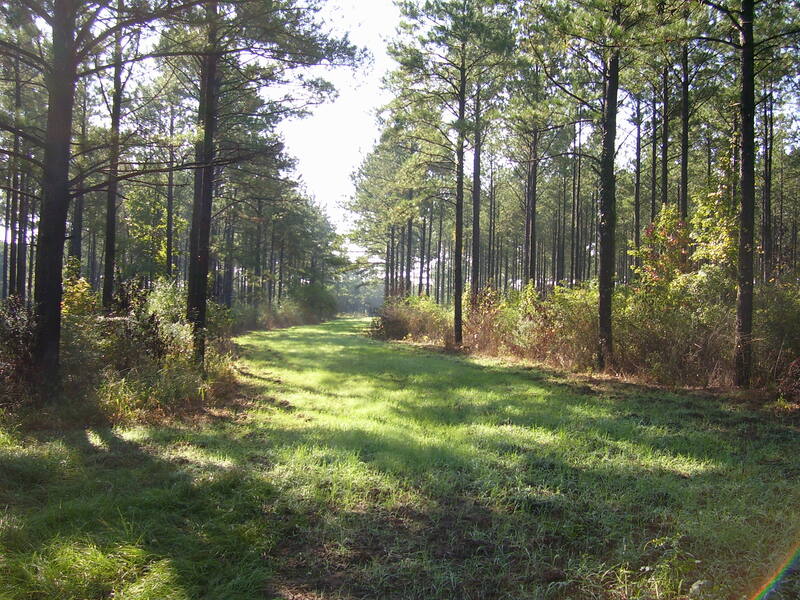 Thinning is a forest management practice that we perform for landowners during the course of the growth and development of natural and planted pine stands. We work with our customers to identify forest management objectives, and then we calculate the removal of certain trees from an existing area. Forestry management requires a long-term vision, planning and setting goals for a landowner’s forestland. At Richton Tie & Timber, we work with many of our customers to identify a forestry management blueprint that is easy to follow. This allows landowners to monitor progress, identify areas for growth and manage the property for the long-term.